Seeing as the launch of Pottermore has been delayed and there’s still a lot of interest in how to register, I figured I’d show people what the Pottermore experience comprises – or at least part of it. Once you log into your pottermore account, you are greeted by a welcome page. This welcome page then takes you to your gateway, from which you will have full control over your account, as features get added the more you progress into the story. Then you start your Pottermore journey via chapter one of Harry Potter and the Philosopher’s/Sorcerer’s Stone. The chapter is retold in a new interactive way to make it interesting for those who have read the books. Once your wand has been selected, you will be taken to Hogwarts to be sorted. The sorting consists of a series of questions with a variable number of answers. The questions will vary from one user to another and I have decided not to include the questions I was asked. These are probably the least interesting new material in Pottermore. There’s a whole backstory on Minerva McGonagall, a very fascinating read to say the least. On the overall, if you are a Harry Potter fan, you will have fun exploring Pottermore. You will also be able to brew potions, compete against other players in duels, thereby gaining (or losing) housepoints, as you help your house win the house cup. The site needs fixing here and there, notably the addition of music, but on the overall it’s a very interesting experience. You won’t get off your computer until you’ve finished whatever book you were in – it’s a fast process to get through chapters and the new material is easy to find. Until Pottermore becomes available for everyone, I hope this has satisfied your craving, somewhat. 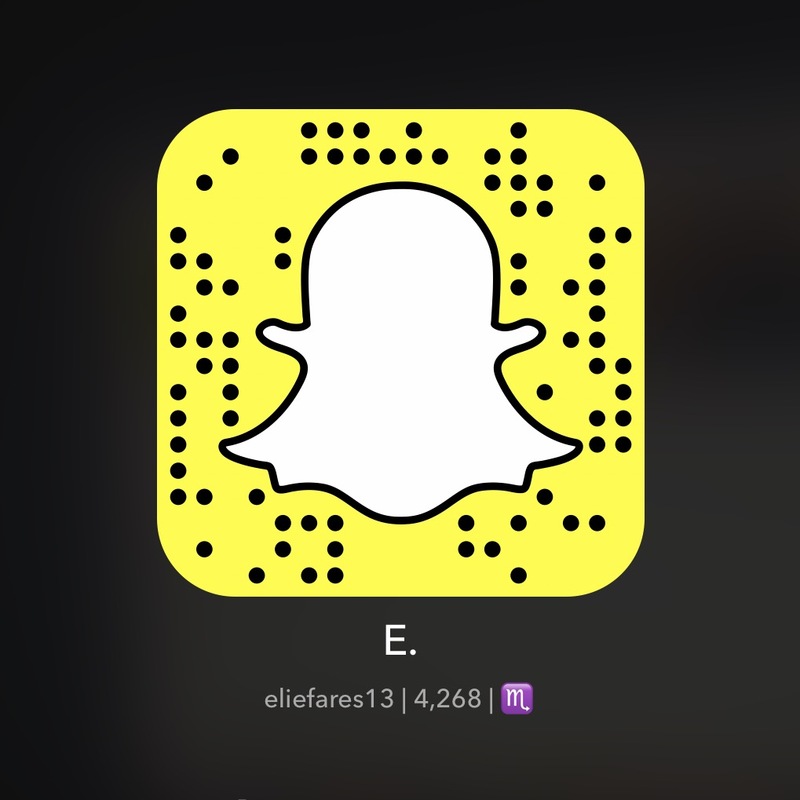 Edit: Many pictures were removed upon request. Based on the book “The Invention of Hugo Cabret” by Brian Selznick, Hugo is Martin Scorsese’s new feature film. Hugo Cabret (Asa Butterfield) is a young boy whose father (Jude Law) died in a fire at a museum, leaving him to the care of his uncle Claude. The only possession left with Hugo is a machine called an automaton which he intends to fix. And so, Hugo is taken to work at tending to the clocks at a train station in 1930’s Paris. It is there that he has to rely on theft to survive and work on fixing the automaton, hoping it would give him some closure or information as to the death of his father. At that train station, he stumbles on a man named George (Ben Kingsley) who owns a toy shop. Hugo soon becomes friends with George’s niece, Isabelle (Chloë Grace Moretz), who strangely holds a key to fixing the automaton and open an adventure for the two of them – all as the station’s Inspector Gustav (Sacha Baron Cohen) goes after Hugo, in attempts to take him to the orphanage. Hugo is a stunning movie. It is beautiful, gorgeous, mesmerizing. The cinematography, the visual effects, the direction, the music – all of these combine together to give you a very pretty movie to watch. It takes you in. It fascinates you at many points. It captivates you. It transcends out of the movie theatre, taking you to Paris, the city in which it was supposedly set. But all of the above combined also need a good plot or story to help the fabric be tightly knit together into delivering a full-package movie. So the central question regarding Hugo arises: is the plot engaging enough? The answer is a succinct miserable no. 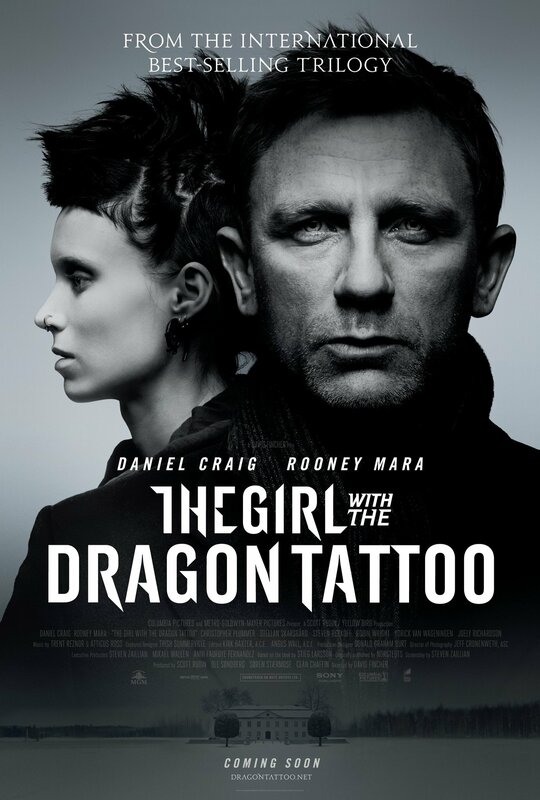 Not only is the story so bland that it makes the movie altogether boring, it really puts a damper into all that the movie had going for it. The cinematography, though as I said is beautiful, becomes emotionally ineffective. The movie starts to go all over the place, not knowing really the point behind making it – is it a tribute to old cinema or is it an entertaining children’s movie? Is it a fantasy or it is pseudo-reality? 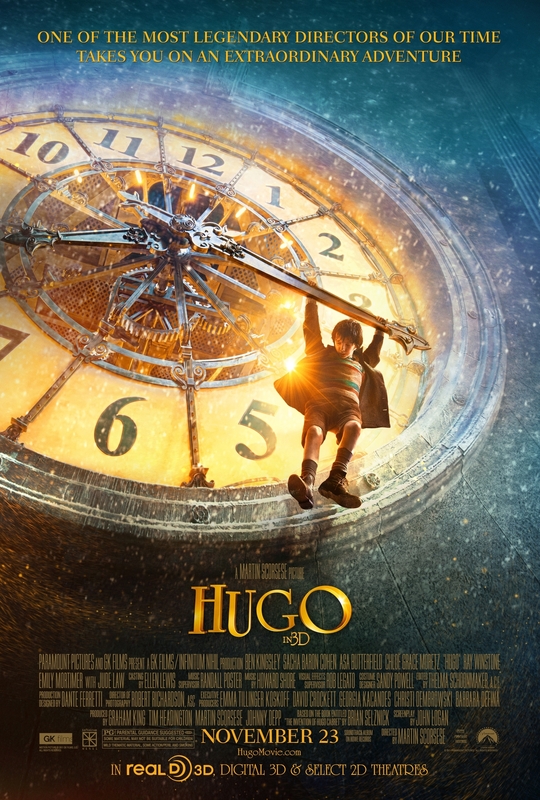 Hugo, being a movie revolved around machinery and clocks, has very machine-like acting as well. The actors – all of them – deliver strained performances that never really hit home, even when there’s enough emotional material for them to deliver. The comic timing in the movie is off that you find yourself rarely laughing even at its heartfelt moments. The action buildup is theoretically there but in reality never happens. You can tell what’s going to happen from a mile away and eventually, it happens. There are no surprises, no twists, nothing to mentally captivate you. Hugo is more a vehicle for its director, Martin Scorsese, to share his passion for movies – especially historic movies – than to actually deliver a movie that is truly great in its own merits. If you compare Hugo with Scorsese’s previous works, Shutter Island for instance as to not stray far, you’d find the latter way out of Hugo‘s league in terms of overall effect on the viewer even though there’s obviously more work done in Hugo than Shutter Island. The main difference between the two, apart from the fact that Hugo is mostly a Christmasy children’s movie and Shutter Island a dark adult thriller, is that the former has a very weak story while the latter has a stunningly intelligent plot – although it’s not as captivating visually. For a viewer with a taste like mine, Hugo feels very empty overall but a movie like Shutter Island would be very satisfying. Being voted movie of the year by the National Board of Review and being nominated for almost every award imaginable, my expectations for Hugo were rather high. And frankly, it has all the ingredients to truly take your breath away: good actors, Paris, breathtaking visuals, a great director…. Sadly though, despite all of its potential, Hugo fails miserably. It remains flat, convoluted, very useless and emotionally flat. It may be breathtaking visually but on the overall, it’s a clockwork lemon. Perhaps instead of having “one of the most legendary directors of our time takes you on an extraordinary adventure” on Hugo‘s poster, the sentence should have really said: “One of the most legendary directors of our time takes you on a uselessly stupid adventure” – for a movie concerned with storytelling, Hugo sure fails at telling a very simple story. Don’t waste your money on this if you want a decent movie for your children this Christmas. Just buy the Harry Potter and the Deathly Hallows Part 2 DVD. At least you’d want to watch that movie again. And at least that movie is truly stunningly, gorgeously, marvelously epic all around. If you, like me, were outraged by how ridiculous the Golden Globes nominations were this year, this is for you. And if you’re not, this is why you – as a movie enthusiast at the very least – should be. 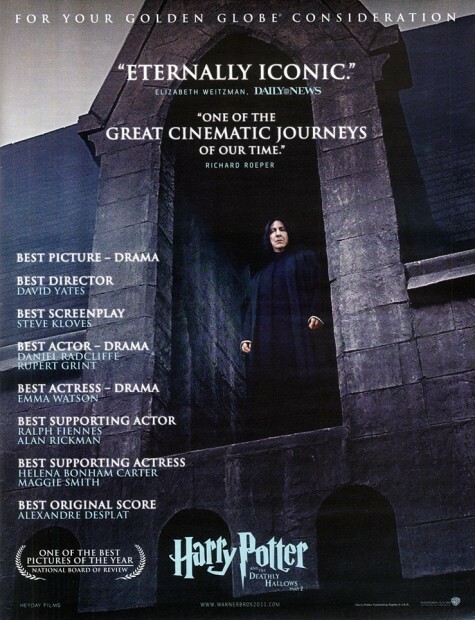 1) Harry Potter and the Deathly Hallows, Part 2 was nominated… for nothing. Not a single category. Nada. Disregard the fact that it’s the last movie in the series. Disregard the fact that it’s the highest grossing franchise in Hollywood history and disregard the fact that Hollywood owes a huge chunk of its financial well-being to Harry Potter. Leave it all aside. Deathly Hallows Part 2 has an aggregate score of 96% on Rotten Tomatoes. 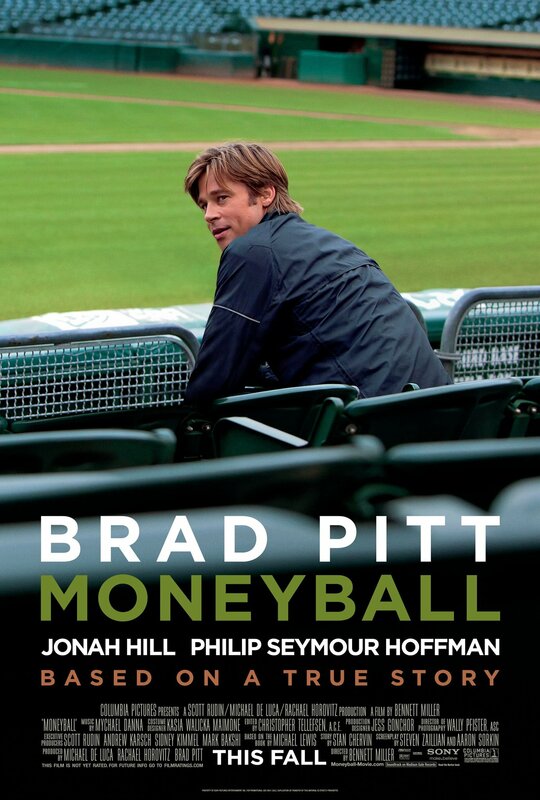 For reference, the other nominated movies have scores that range from Moneyball’s 95% to The Help’s 75%. And if you thought Moneyball’s 1% difference is irrelevant, it becomes relevant when you notice that Moneyball has this score based on 194 reviews whilst Harry Potter has his based on 257 reviews. But no matter. For those who think Rotten Tomatoes is not a decent criteria – after all Bridesmaids is truly horrible – I shall refer to Metacritic, which gives movies a certain grade if you want based on the reviews they get. Harry Potter has a grade of 87. Hugo has a grade of 83. Moneyball’s grade is 87 as well. The Help comes in at a measly 62. I’m just saying. It’s either the reviewers are bipolar or those nominating in these award shows are bipolar. I’m sure there’s a correlation between those reviewing and those nominating, which leads me to think this double bipolar disease they have is truly damaging to the industry. What’s even worse about this is that Warner Bros actually tried to get Harry Potter a nomination. Ah well… elitist snobs always win, I guess. 2) Lebanon’s Where Do We Go Now was not nominated in the foreign movie category but the United States’ In The Land of Blood of Honey was. 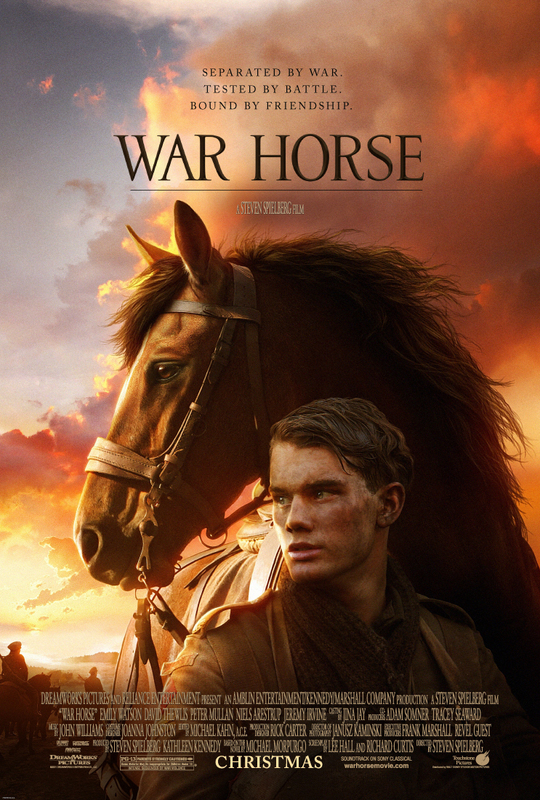 Apparently the fact that the latter movie had an American production, albeit being filmed in Bosnia, did not deter them from considering it foreign. They consider the language the movie was spoken in apparently. Add to that the fact that the movie has an English version which was submitted to other categories for consideration. But as you know, In The Land of Blood of Honey is Angelina Jolie’s movie and as a friend put it, these award people can sometimes be starwhores. Just look at the other nominated movies in this category: Flowers of War has Christian Bale. The Kid With The Bike and The Skin I Live In were also directed by more famous names than Nadine Labaki. Perhaps our Oscar hopes are not totally dead now. But Where Do We Go Now‘s chances are now very slim at best. 3) Glee gets nominated for best comedy series but The Big Bang Theory, which is truly a comedy, does not get any nominations except for Johnny Galecki’s (Leonard) nomination for best actor in a comedy. Jim Parsons (Sheldon) was not nominated. I don’t even feel like having to elaborate on this. 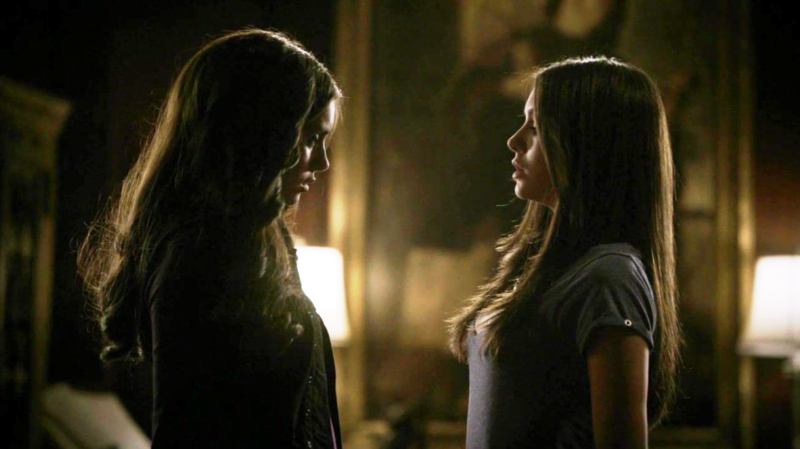 4) Nina Dobrev, who plays two characters on the CW’s hit series The Vampire Diaries, doesn’t even get a nomination for drama actress in a TV Show. Her characters have nothing to do with each other to make it at least easier for her to portray them. They’re as different as different go. And yet, she’s snubbed. How could a CW TV show be considered worthy after all, right? It’s not like it’s not better than most TV Shows out there. But I guess you should refer to point #1 for their view on quality. I’m sorry to break it to Nina Dobrev but apparently anything she does won’t be enough to get her an award outside the Teen’s Choice or People’s Choice Awards. 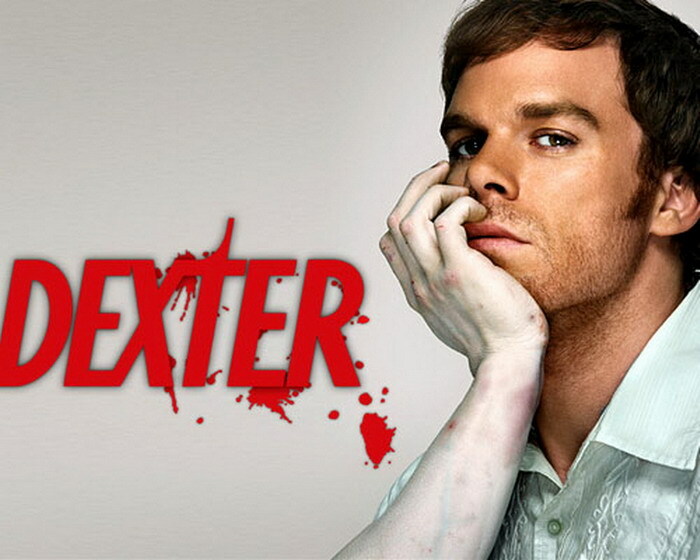 5) House’s Hugh Laurie and Dexter‘s Michael C. Hall are both not nominated for best actor in a drama even though they’re both portraying totally twisted and sick characters that should be eaten up by any award committee. The fact that they’re slowly becoming iconic characters in our generation apparently doesn’t help as well. I guess the finger given by Hugh Laurie as House is fitting. Well, not officially. I’m pretty sure that’s going on behind the scenes. 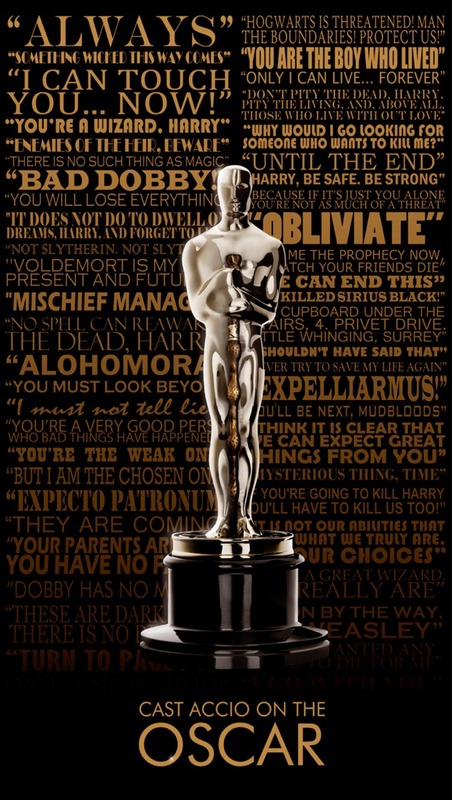 But fans over at Potterish have come up with this awesome poster in preparation for the Oscar season, which the final movie of the Harry Potter series is part of, featuring the Oscar statuette holding the Elder wand. You know, the year is almost up and I know most award-worthy movies are still waiting to be released but nothing has come close to how great Harry Potter and the Deathly Hallows Part 2 has been. You can read my review here.